Thanks to God's faithful provision through "cheerful givers" (2 Cor. 9:7) supporting the mission, Valley Christian School is able to charge less tuition than its actual cost to provide a robust, Christ-centered education. Gifts from alumni, parents of current students, parents of alumni, churches, grandparents, and other supporters fund the tuition assistance that goes directly to help families that cannot afford the full tuition at Valley Christian School. According to a recent study by George Barna, children, by the age of 13, have already formed a worldview that will govern the choices they make for the rest of their lives. * Equipping our children to understand a Biblical worldview and how to defend their faith is of immeasurable value in an increasingly secular humanistic society. Your giving to a child's Biblical education is equipping the next generation to stand for the Kingdom of God. There are few things more valuable that you can give your resources to! If you are interested in sponosoring a portion of a child's tuition at Valley Christian School, you can do so for only $84 a month! 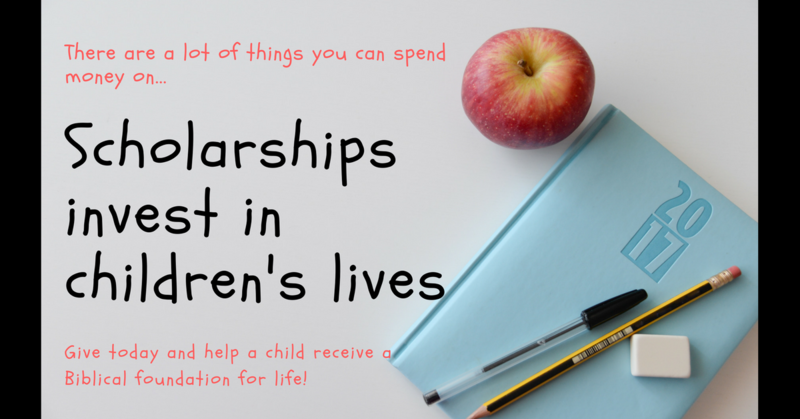 However, donations of any amount can be designated for tuition assistance. Click HERE to sign up for one time or recurring payments.